Is there any way to shorten the search range? I'm not seeing anything in the article or plugin. The detection range is keyed to player movement change to minimise overhead on the scripting system when cells attach. I invested heavily in testing and then hardcoded the numbers as getting them wrong will induce script lag and a poor user experience. If you don't care, then try one of the mods that constantly scans for locks on a shorter range with the corresponding system load. Hit it again if it didn't detect the right reference the first time, it should cycle through any available Refs. Hi SKK50, I love this mod, thanks. If you have no bobby pins in inventory locks will not be picked, give them to your follower. The only way to stop terminals being unlocked is to clear the formlist SKK_AULTerminals so nothing is found. Now you are definitely, hands down my favorite modder! Thanks! Finally gave this mod a shot, been eyeing it for a while. It's good stuff! But, would you consider making it break bobby pins more often? MUCH more often? As it stands, I thought the bobby-pin breaking function wasn't working for a very long time. 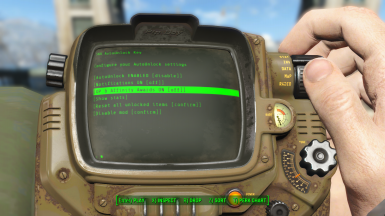 The mod uses the standard base game setting fLockpickBreakBase which defaults to 5% if I change that I would have the Lore and Immersion police all over me. 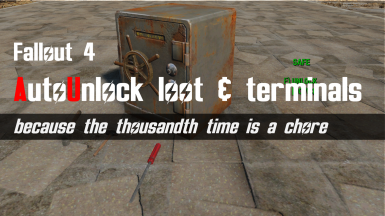 Plus in 2,500 hours of standard non lock pick cheating game play I have never ever come close to running out. I'm a little confused by what you're telling me. All I know is, i'd like to burn through lockpicks a lot more quickly than this mod currently does. Maybe you could just make each lock picked consume a fixed number of lockpicks? Depending on what tier the lock was? That seems much more simple than all this Percecntage Variable stuff. But then, i'm ignorant to what is most simple to do when making a mod. Ok, it's been a couple of days and many hours of playing with version 005. And... I just don't notice a difference. After over 12 hours of gameplay, i've only lost about 9 bobby pins. And this is with it set to fail 40% of the time. Could you up the failure percentage, maybe? To 90%? Another thing to note though. 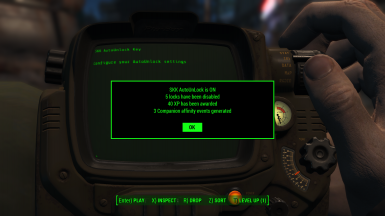 I have a level cap in place for my game, and i'd like to enable the xp plus affinity option for this mod. But it's giving me xp and ignoring my level cap. Slow xp, but still. Is there any chance to separate the xp and affinity options so I can just get the affinity? Or will the engine not even allow that? They could be split out but it all adds processing overhead to slow a game down, which is why settings and functions are batched together. 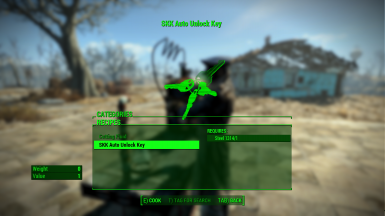 As this mod is fairly intensive on processing found locks it would be better to disable the function than try and split it out for more overhead. if i have cells to load turned down really low, will this cause a crash if it tries to scan an unloaded cell? or does it work on loaded items only? If you are talking about uGridsToLoad the lowest you can run is 3 which is an active radius of 6,144 game units from the player which is why I configured this for 5,000 unit radius. 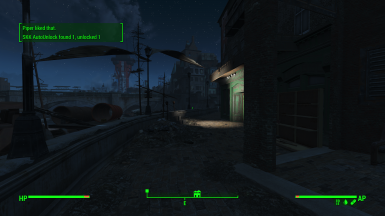 Feedback please: would this mod be better if it broke bobby pins on a % lock:perk difficulty metric ? Does this still give affinity to companions that like lockpicking? v002 published with player XP and companion affinity events as options. Will it reward EXP when unlocked? what I thought on this playthrough, and here you are awnsering my call ;) thank you again good sir or woman!